Mid cap mutual funds specialize on companies with market capitalization brackets between $2 billion and $10 billion; however, that is a very broad definition that is subject to change over time and even from one brokerage firm to another. A savvy investor understands that including multiple market cap stocks is the basis of a solid well-diversified investment portfolio. 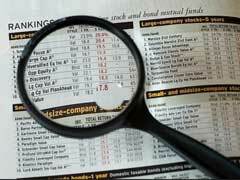 Why does it matter so much and why do you need to pay attention to whether it’s a mid cap or small cap mutual fund? Every market cap category comes with specific investment risks and objectives that serve different purposes. Small cap mutual funds are considered more of higher investment risk compared to mid cap mutual funds due to poorly established market history, unstable products and technologies multiplied by low financial capabilities. However, higher risks usually come with larger returns. Mid cap mutual funds, on the other hand, will not show as much growth potential and are targeting more long term investment since these companies do not regularly display significant growth patterns over a short period of time. Presented below in no particular order we present Top 10 Mid Cap Mutual Funds for your consideration. Mid cap mutual funds make a solid investment and help protect your hard earned dollars from stock market “surprises” that small and large cap mutual funds may become easier susceptible to. Definitely seek no load mutual funds in this group but expect to pay relatively higher initial investment amounts due to higher stock prices in this category.